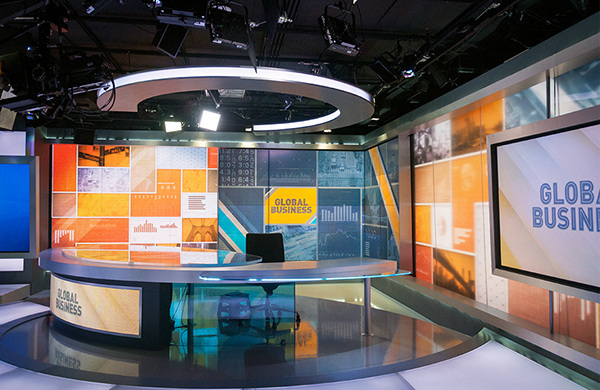 Our change from CCTV America to CGTN America not only came with more On-Air content to fill, but also more set designs to be created! 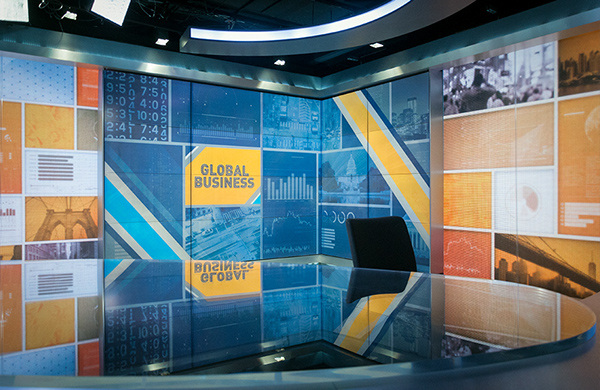 Our "Global Business" show went from one, 1-hour show to have a secondary 30-min show. 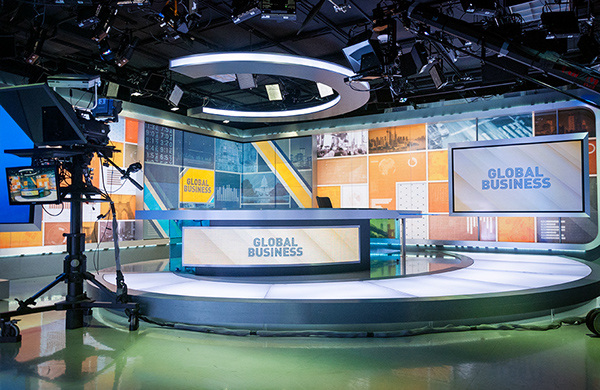 We felt it was necessary to differentiate the two programs with two different sets. 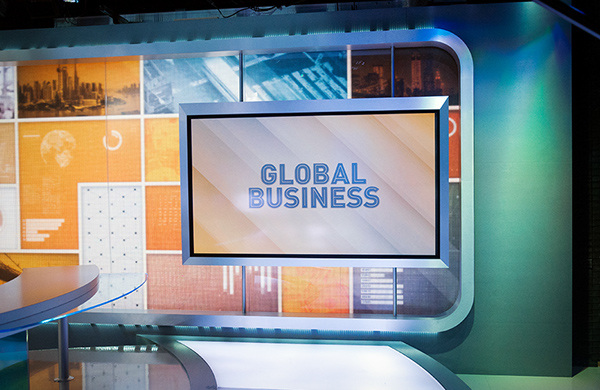 Global Business is CGTN America's flagship business program where we cover all the current events of the world's economies. 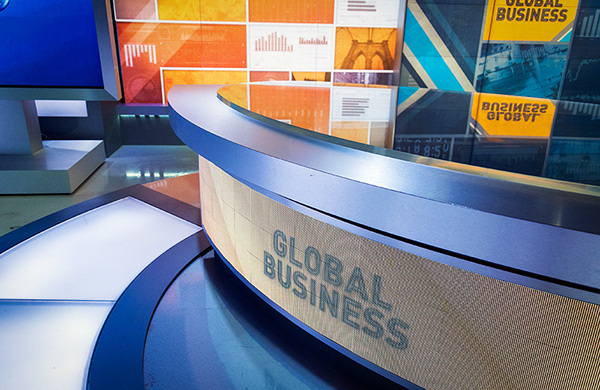 We used different window panels to house different stocks, bar graphs, photos, & currencies to give a sense that our show is all encompassing of business news.